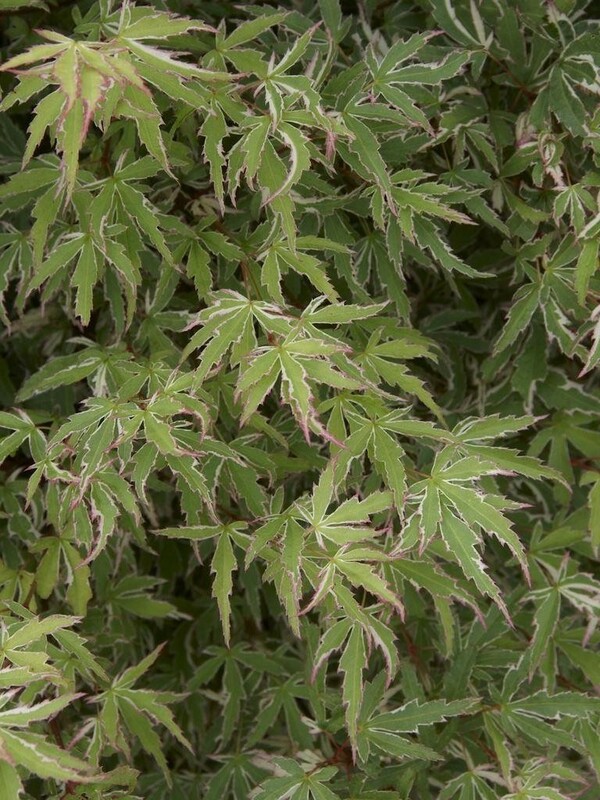 This is a fantastic variegated Japanese Maple. 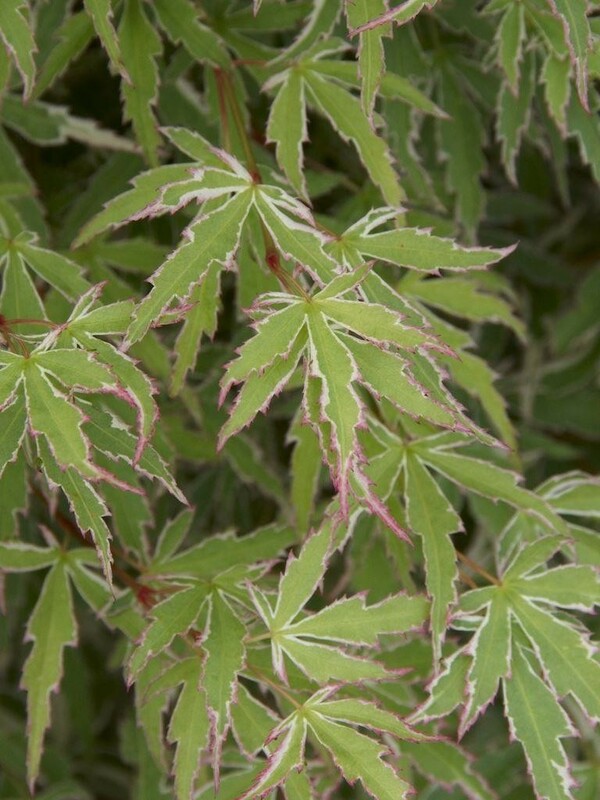 White edge with pink on bluish-green filigree leaves. Growth habit is narrowly upright and twiggy. Butterfly is spectacular, and one of the most desirable cultivars available. 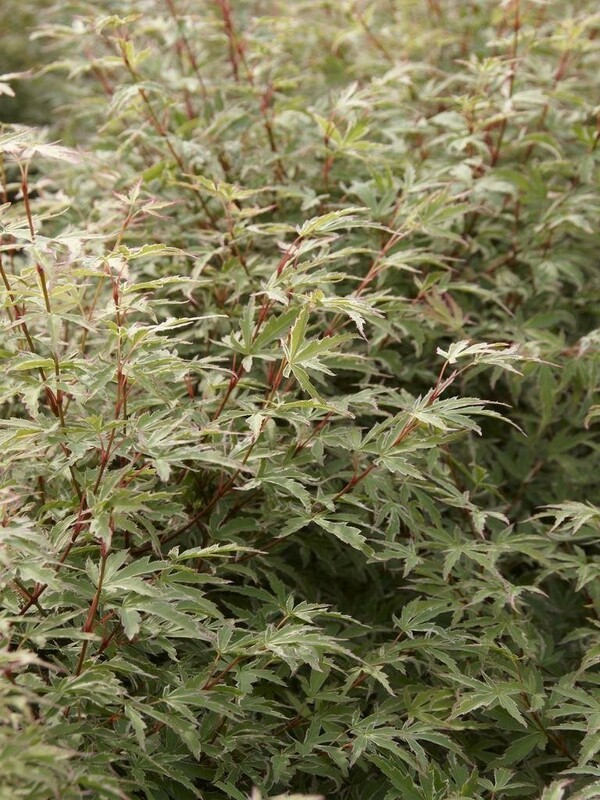 Height is upto 2metres in ten years, but it can easily be maintained as small as a bonsai with pruning. Ideal in the garden itself or in a tub. 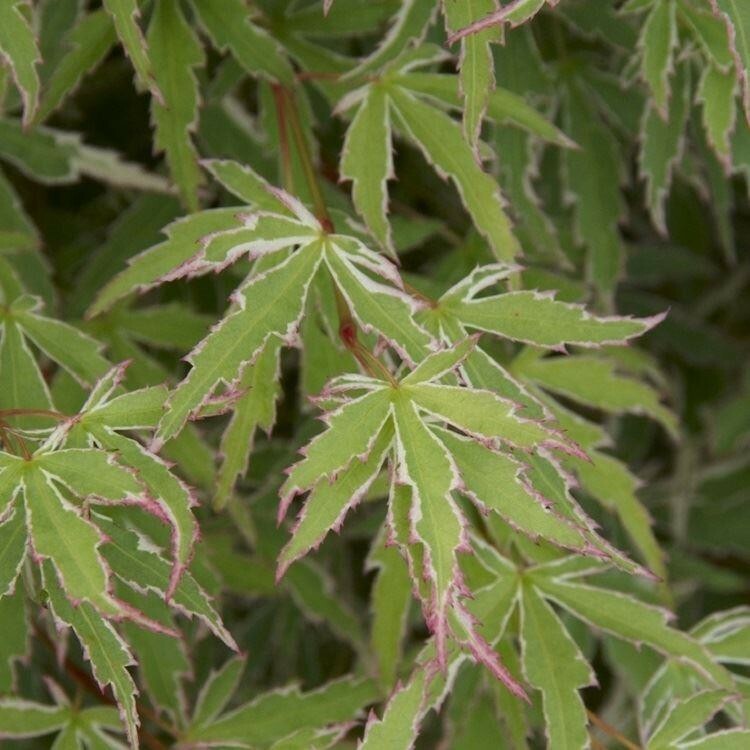 Supplied in a 3 litre pot, around 40-60cms tall.